Hold on tight when the fox is loose! 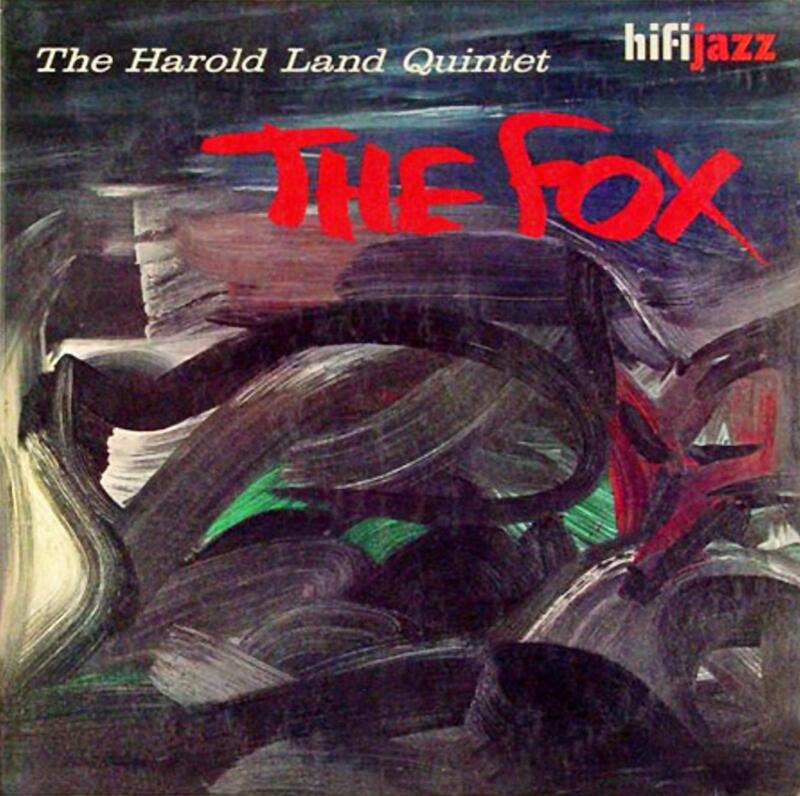 The Fox, tenorist Harold Land’s greatest solo album, contains a title track that in my opinion is one of the all-time classic hard bop cuts. The rest of the album is filled with fine originals mainly written by pianist Elmo Hope. It’s also memorable for the appearance of trumpet enigma Dupree Bolton. Land moved to Los Angeles in 1955 because of illness in his family, cutting short his engagement with the Max Roach/Clifford Brown Quartet. (Sonny Rollins took his place) When Elmo Hope left NYC for the West Coast after losing his cabaret card due to a drug bust, the bop piano wizard soon checked out Land. Planning a recording and in search of a trumpeter, they were adviced the unknown Dupree Bolton. A great pick, as Bolton surprised everyone with quicksilver phrasing and a fiery, cocksure tone. He also turned out to be a smart reader of Hope and Land’s deceptively straighforward tunes. The driving rhythm section also handles the pretty and characteristic changes of the composers Hope and Land very well. They kickstart the title track, written by Harold Land, at breakneck speed, pushed along by a string of boisterous, descending runs from Elmo Hope. Harold Land delivers a fluent, crackerjack solo. Dupree Bolton is in staccato mood. His blend of virtuosity and buoyancy is on par with Clifford Brown. Elmo Hope’s solo is stunning. He’s ‘out there’ and makes intelligent use of dynamics, alternating between soft/hard and low/high, yet his brainy statements never lose the sense of harmonic stability. The horn bits behind Hope stimulate his proceedings considerably near the end. The Fox is a very tricky tune and the way the group succeeds at letting it flow unaffectedly is fantastic. Hope’s Mirror-Mind Rose (Hope contributes four tunes to The Fox, Land two) is an exquisite, warm-hearted ballad. Land’s tone can be both pleasantly round and sweet-tart and his sound is forceful without excessive strain. Hope’s impressionistic solo is pure comfort, evokes the image of a warm glow that embraces you in front of the fireplace. It has tinges of both Monk and Bill Evans. Both Sims A-Plenty and Little Chris are uptempo, intriguing tunes that possess a good sense of groove. Harold Land’s ability to construct series of coherent, rich ideas catches the ear in particular in Sims A-Plenty. His approach is simultaneously cerebral and temperamental and strikes me as similar to the style of Benny Golson. Hope is outstanding, injecting ‘trinkle tinkles’ and Middle-Eastern accents into swift changes. Bolton’s flair, meanwhile, is highly contagious. The album is rounded off with the latin-type composition One Down. It’s a solid ending of a session of great teamwork, remarkable performances of leader Land and virtual co-leader Hope and, last but not least, the rabbit that was pulled out of the hat, Dupree Bolton.